This post a little bit late considering these vintage MOM jeans were given to me as a birthday present off my boyfriend 2 weeks ago! So my apologies. 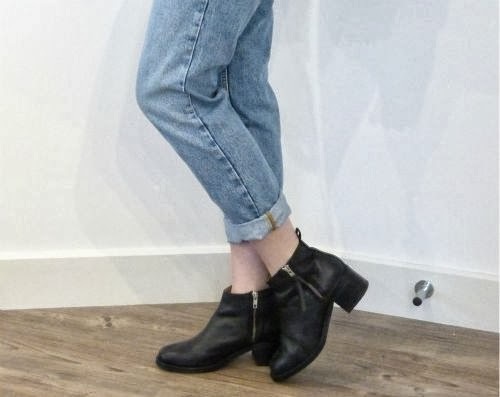 I also seem to be a bit late jumping on the MOM jeans band wagon, but then again I guess you could say that we are all extremely late getting on the trend considering it really started in the 1960's! Buy anyway, I love them all the same even if no one else is wearing them anymore. When I wear my MOM jeans it's normally because I want to have a laid back comfortable style that day and this is why I like to pair them with cropped knitted jumpers. This way I can be slouchy yet still keep some style to my outfit, I mean whoever said fashion means pain clearly hasn't had a look in my wardrobe! I then topped the whole look off with my new ankle boots and this awesome chunky necklace that my friends gave me for my birthday (best mates ever!). 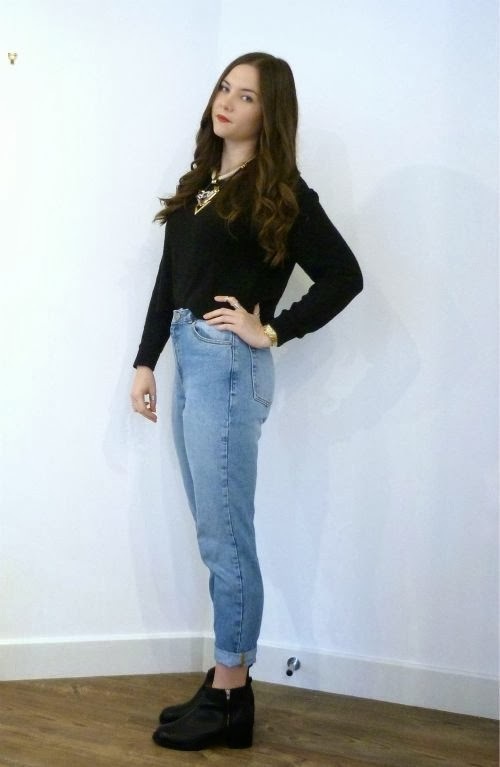 What do you all think to MOM jeans? Do you own a pair? These jeans look awesome on you Ally! I have some mom-style jeans but they're too tight for me so are pretty much just normal jeans ... gutted haha! They suit you really well! You look gorgeous! I love how the jeans look on you. Wish they looked like that on me!! © Fashion Nerdette. All rights reserved.